Congratulations to the winners of the inaugural Companion Animal Rescue Awards which celebrate and recognise inspiring examples of dedication to the rehabilitation and rehoming of companion animals Australia-wide. 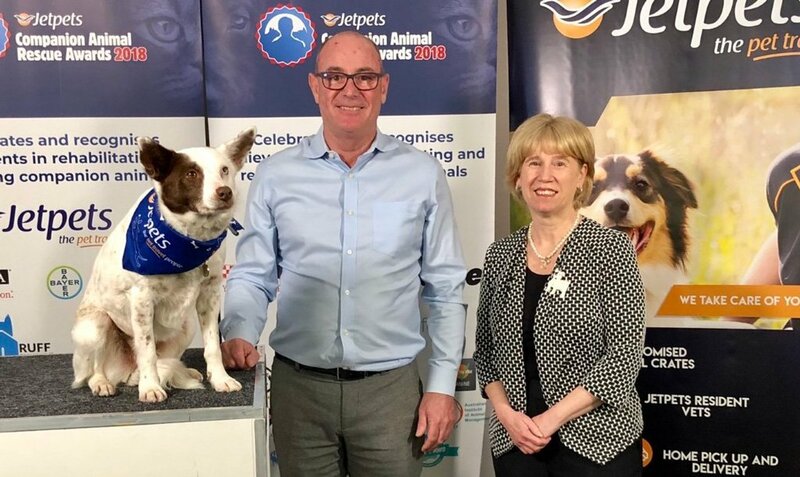 The winners were recently announced by Companion Animal Rescue Awards founder Cathy Beer from Pets4Life at a live broadcast event at the national Melbourne headquarters of Jetpets, Awards Platinum Rescue Hero and naming Partner. Australia has over 900 rescue groups and animal shelters supported by thousands of volunteers. Following the announcement of the finalists, one winner from each of the seven categories was selected by a panel of nine judges. “The bar was set very high and we received many outstanding submissions from rescue groups and animal shelters across the nation,” Beer said. Dan White, brand manager of Advocate® at Bayer said it was very difficult to choose the top 10 finalists, let alone a winner. “The judging, although a lengthy process, has also been a thoroughly rewarding and uplifting one,” he said.